Learn about how to reset your password if you have forgotten it and what happens if you accidentally get "locked out". 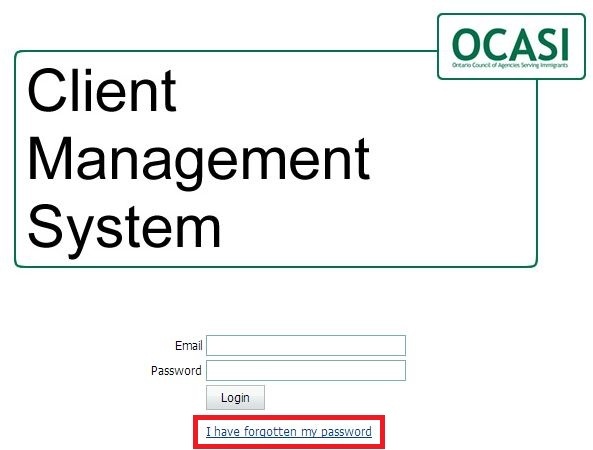 To access OCMS enter the following URL: https://www.ocmscanada.org (you must have an account already). You have three (3) tries to enter your password. On the third and final incorrect try, your account is automatically locked by the system and no future access is allowed until an administrator unlocks the account. Submit a ticket and OCMS Support will unlock the account for you. Click the I have forgotten my password link. Use this if you have tried your password twice and it does not work. Enter the letters and/or numbers displayed in the Security Code on this page into the Enter Security Code field. Type in your email address and the new password of your choice. Please be sure to follow the rules below. OCMS will send an email to your registered email address (the email address you provided in your profile). When you receive the email, please click on the link to validate the password change and log in. If you do not receive an email within 15 minutes, please check your spam filter.